Testing for fever, high pulse rate, crackly breath sounds, and low oxygen levels could be key to helping GPs distinguish pneumonia from less serious infections, according to a large study led by the University of Southampton. Pneumonia is a severe lung infection that can be life-threatening and often requires treatment with antibiotics. However, it is notoriously difficult to discriminate from more common viral infections, against which antibiotics are ineffective. Published in the European Respiratory Journal the researchers say that using these four measures could help patients get the treatment they need as well as reducing unnecessary antibiotic use, which is fuelling a rise in drug-resistant infections. The study was led by Michael Moore, Professor of Primary Care Research at the University of Southampton, and funded by the National Institute for Health Research. He explained: “GPs see a huge number of patients with symptoms of a lower respiratory tract infection such as coughing, phlegm, wheezing and being short of breath. The vast majority of these will have a viral infection, which can range from being mild through to feeling extremely unwell. But antibiotics do not work well for these patients and have side effects, so they should be avoided. “On the other hand, around one in 20 patients will have pneumonia. Again, there is a spectrum of how sick patients with pneumonia will be, but it can be a life-threatening condition that requires hospital treatment. 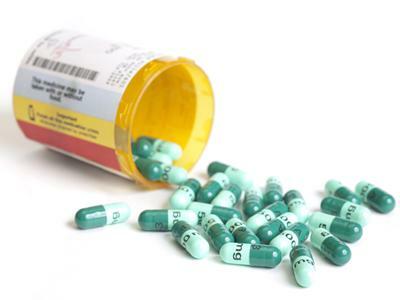 Antibiotics can often be an effective treatment for pneumonia. Professor Moore and his colleagues studied 28,883 patients who had visited GPs at 5,222 different surgeries across the UK with signs of an infection in the lungs or airways, such as a cough. They collected data on the patients’ symptoms, results of any tests and details of any treatment given, and continued to monitor the patients for the following 30 days. A total of 720 patients in the study went on to have a chest x-ray and of these, 115 were found to have pneumonia. The researchers found that some signs and symptoms were more common in patients who turned out to have pneumonia. These were a temperature higher than 37.8°C, a crackling sound in the patient’s lungs, a pulse rate of more than 100 beats per minute, and oxygen saturation in the blood lower than 95%. They found that 86.1% of patients with pneumonia exhibited at least one of these signs. Blood oxygen levels can be easily measured using a non-invasive device called a pulse oximeter, which fits over the end of a finger. However, pulse oximeters are relatively new to general practice and not used routinely because, until now, there has been no convincing evidence that they help to pick up pneumonia. Professor Moore said: “This study shows that there are objective measures that indicate whether or not a patient might have pneumonia, and they are all factors that GPs can already test for. Whereas other symptoms like sputum colour do not seem to help. He continued: “The rise in drug-resistant infections is an international priority and one of the contributors to antibiotic resistance is unnecessary prescribing. Most patients with a lower respiratory tract infection will recover perfectly well without antibiotics but, at the moment, around 60% of patients get a prescription. Although the study is large, the researchers caution that its main weakness is that it relied on routine x-rays to confirm the diagnosis of pneumonia. They point out that relatively few people had an x-ray and so milder cases of pneumonia would still have been missed. Professor Moore and his team continue to study these types of respiratory infections and they hope to test whether these findings can be implemented in routine general practice to improve diagnosis and focus antibiotic treatment on those who really need it. 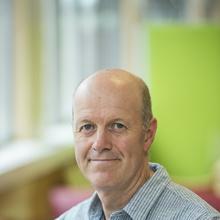 Professor Michael Moore is Professor of Primary Health Care Research within Medicine at the University of Southampton. He is an academic GP with more than 25 years' experience as a partner in a Salisbury practice. His practice has been engaged in research since 1993 and is now actively contributing to NIHR clinical network research.